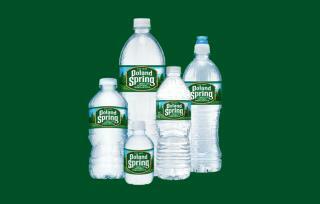 (Newser) – Nestle's Poland Spring bottled water does come from Maine, but its state of origin isn't the issue being raised in a class-action lawsuit against the company. In what they call a "colossal fraud," 11 plaintiffs in eight states argue the "100% Natural Spring Water" is actually "ordinary groundwater" drawn from wells "in low-lying populated areas near potential sources of contamination," including a landfill and ash pile, per Courthouse News. The FDA classifies spring water as "derived from an underground formation from which water flows naturally to the surface of the earth." But the lawsuit, seeking at least $5 million in damages, claims Nestle's wells are unconnected to a natural spring, which "has never been proven to exist," reports Consumerist. Sorry, Nestlé. If it ain't spring water, you can't call it that. A convenient "white lie" and you make billions a year since 1998. And $5 million in damages is hardly a penalty. That's like the average Shmoe being fined $1.50. Its sad to see so many people actually paying for bottles of water. Go to your local variety store or department store, buy a sturdy metal bottle, and fill it up from a tap at home or at work. Voila. Clean, safe water. I never understood why people would want to pay so much money for water that had been sitting in a plastic bottle for months. Don't those idiots know that plastic leaches synthetic estrogen into water?